He was born in South Holland, a Chicago suburb where he also learned how to play basketball. Then David Moss move to Indiana State, stayed there for the four college seasons and finally started his professional career in Europe. First in Poland then in Italy. Jesi, Teramo, Bologna, three big seasons in Siena and now Milano. 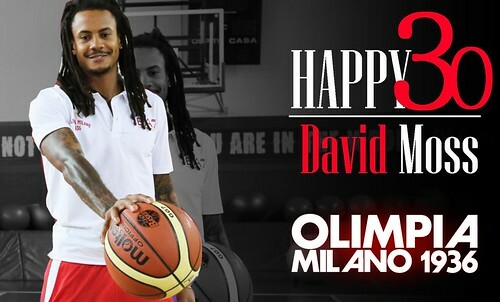 Today, David Moss turns 30 and it’s also the first birthday he can celebrate as an Olimpia Milano player. So it’s pleasure to wish him Happy Birthday, Happy 30 David!